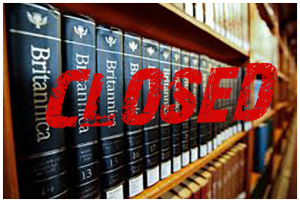 Do they have to close our library’s? Peter Balakian, born on 13 June 1951 in Teaneck (NJ), is the Donald M. and Constance H. Rebar Professor of the Humanities at Colgate University, where he has taught since 1980 and where he directs the Center for Ethics and World Societies. He received his BA (1973) from Bucknell University, his MA (1975) from New York University, and his PhD (1980) from Brown University. Balakian is the author of six earlier books of poems, most recently of Ziggurat (Chicago 2010) and June-tree: New and Selected Poems, 1974-2000 (HarperCollins 2001). He is also the author of the memoir Black Dog of Fate (Basic Books HarperCollins 1997), which was featured in the New York Times and in the Los Angeles Times, and the prose work The Burning Tigris (HarperCollins 2003) on the Armenian genocide, which was a New York Times best-seller and which was featured in the New York Times and in Publishers Weekly. He has also appeared on such programs as 60 Minutes, ABC World News Tonight, The Charlie Rose Show, Terry Gross’s “Fresh Air,” Scott Simon’s “Weekend Edition,” CNN, C-SPAN, PBS, and several other radio and TV shows. His essays on poetry, culture, art, and social thought have appeared in such publications as American Quarterly, Art in America, Boston Globe, Chronicle of Higher Education, Commentary, New York Times Magazine, New York Review of Books, and Poetry, many of which are collected in his latest book, Vise and Shadow (Chicago 2015).